My name is Masaru Kimura and I work at Yokogawa Electric Corporation, Japan. Thank you for sparing your precious time for us yesterday. Yesterday's visit was very valuable experience for us. The information of Grass root innovation activity gave me a new viewpoint. I tend to think about profit and income in business. But I fully realized I should think about how the technology can contribute to society. In my opinion, I think your most important thing is the contribution without charge which called ‘Noblesse oblige’. I got the courage and vigor from you. If it's possible, Please tell me what kind of point to see when you decide to support the innovator. I could understand your introduction sufficiently about Palle Srujana very clearly. Thank you for your cooperation. 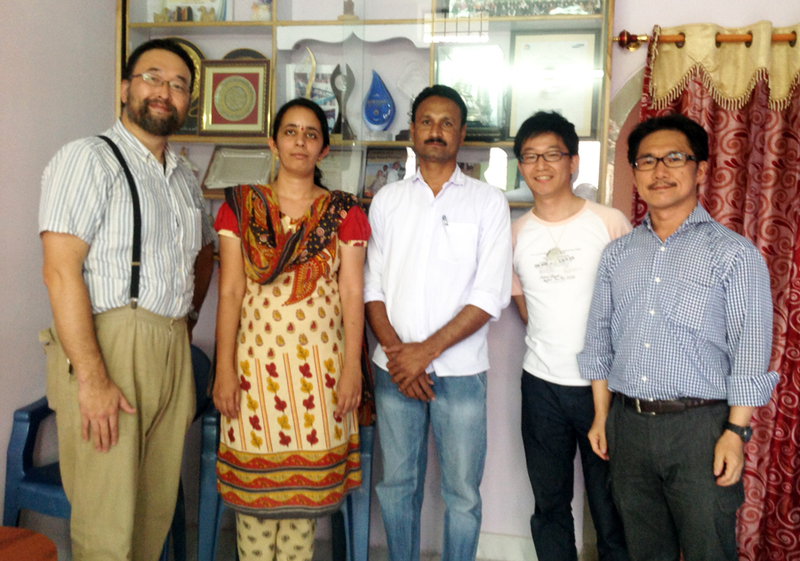 After I have gone out of your office, I met Mr. Mallesham as local innovator. I didn’t understand his background when I met him. I questioned him about a dream 10 years later. He answered that there were no dreams planned in particular. He said if the day is happy, that is OK. I checked the J2IC’s homepage at last night, and then I understood his background. I could understand a reason of the weight of his word. I'm of the same age with him. But I respect him sincerely. And I think one will look for the community service which can be done in order to catch up to him even a little. I think I'll utilize this experience for not only business but also my future life. Systems Business and Products Promotion Sec. PA Systems Planning Dept. IA Systems Business Div.